As B2B companies start to realize the potential of what they can do with the Web to attract buyers, the question of what goes into effective B2B web design becomes ever more pertinent. The reality is, most buyers do a lot of research before they decide to buy. 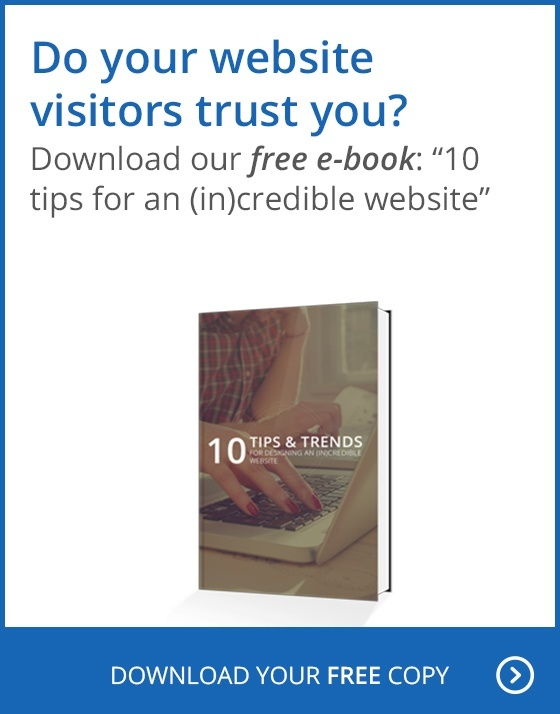 Chances are, they already know some things about you before you even start communicating about sales. Your company website will likely be the first thing they'll see, so it’s important to make it count. That being said, some B2B companies still don't really know whether to focus on design first or content after. The two are, in fact, not mutually exclusive. When you are trying to sell something or provide a service, visitors are interested in the facts—good design is a bonus, built on the foundation of good information. When you approach design this way, you’ll essentially have a roadmap that will help guide the direction in which everything should go. So how can you integrate content with your design so it looks organic and not forced? Using simplified design techniques, you can have a clean and classy look with content that doesn't look cluttered. It’s no secret that people’s attention spans have dwindled. You need to make a quick first impression when buyers visit your site for the first time, otherwise you can lose them before you even have a chance to identify them. One of the best way to capture attention is through videos, which can blend in well when you have one introductory video on your homepage with a flat design. The latter design style already brings out richer colors and a cleaner layout, so things don't look overcrowded. Videos can blend in well with specific backgrounds so they look integrated rather than just randomly embedded. An alternative to this is using full-screen video backgrounds. These can tell a quick story about what you do, sometimes without even needing audio. The more you can convey visually without having to depend on text, the better. This isn't to say that textual content is totally useless—people will always be willing to read up on things that interest them—but supplementing and recapping content with short videos can help you cast a wider net. When you consolidate large amounts of information into downloadable files, you can provide specs about your products in a way that doesn't take up excessive space on your site. It helps to create a resource library showcasing detailed information about your products or services. This is a great way to balance the bite-sized information initially provided in videos and highlighted features. Once a visitor has gotten a sense of who you are and what you do, they’ll likely want to learn more. By providing whitepapers, case studies, and e-books, you’re helping them move even further down the funnel. Plus, it’s a great way to de-anonymize visitors. In terms of how this affects your design, you should always be thinking of ways to make this process smooth and seamless. Your design should highlight every opportunity to obtain this information, whether it’s with eye-catching calls to action or laser-focused landing pages. This point has been discussed on this blog and elsewhere ad nauseam for some time now, but many B2B companies still don’t realize how relevant it is to them. In truth, many B2B buyers are looking you up on mobile devices since they're just as much on the go as regular consumers. Responsive design has to figure into more than just smartphones and tablets as well. Think of the wearables market and how your content is going to fit on an even smaller screen. Your content may need more imagery than text while conveying the same ideas seen on a desktop. Of course, there is much more to be said when it comes to fully optimizing your B2B web design, but starting with even one of these three points will get you started on a much better foot than if you focused solely on something that looks cool. A purposeful design means a leaner site with less friction, so visitors will have no problem learning about your company and making their final decision.